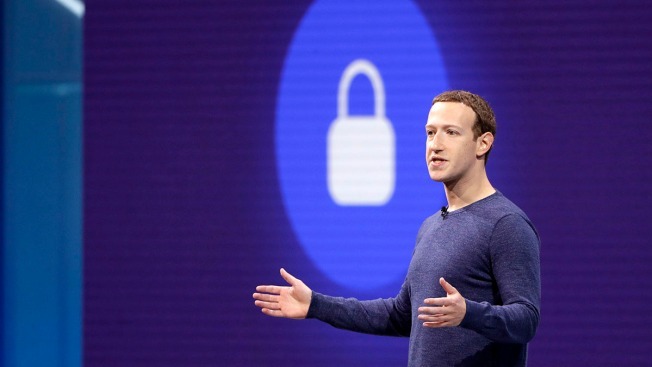 FILE - Facebook CEO Mark Zuckerberg makes the keynote speech at F8, theFacebook's developer conference, May 1, 2018, in San Jose, Calif.
Facebook said on Thursday it would cut back the on-site support staff that it has provided in the past to political campaigns including President Donald Trump’s in 2016, NBC News reported. Facebook said in a statement that it was pulling back that kind of help for political ads beginning with this year’s midterm elections, and would focus on providing free information to elected officials and campaigns through a website, politics.fb.com. Brad Parscale, the campaign manager for Trump’s 2020 reelection effort, has said Facebook effectively embedded staff in the campaign’s offices in San Antonio two years ago, helping with technical advice on how best to reach voters with Facebook’s advertising platform. Facebook has said it offered similar support to Trump’s Democratic opponent, Hillary Clinton, and it likewise had helped other advertising customers, such as Republican Mitt Romney’s 2012 presidential campaign, as well as some commercial advertising clients.